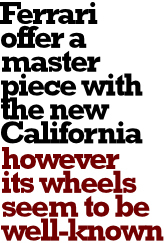 With the California, Ferrari have lately presented their new entry-model. No doubt, also this vehicle is a design masterpiece. 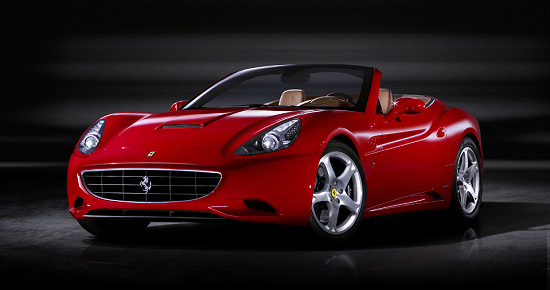 While optics with closed top is the weak point of many cabrio-coupes, the California looks with closed roof as stunning as it looks when its intrior is covered by the hard top. 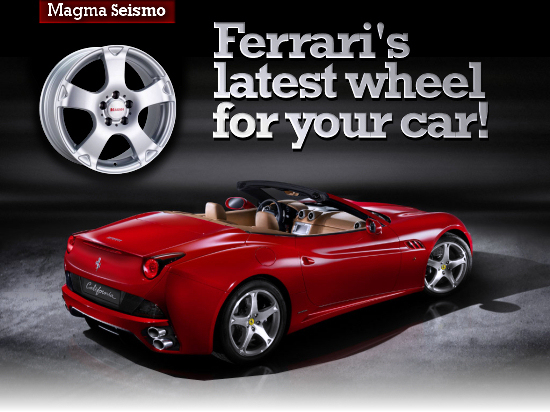 ...with the Seismo, wheel manufacturer Magma offer a rim that looks very similar to Ferrari's latest alloy wheel. Besides a sliver version [Lichtsilber], there also is an option in black [Lavaschwarz] with a polished surface. The thing is gettable in diameters from 14 to 18inch, widths range from 6 to 8.5. It is available in all usual screw hole circles and even a reinforced version for heavy SUVs and crossover vehicles can be ordered.